In 2018, the City notified us that our community can no longer paint on the rocks at Ascot and Chelton. Click here to learn more. New: No more painting on the rocks. Facts. 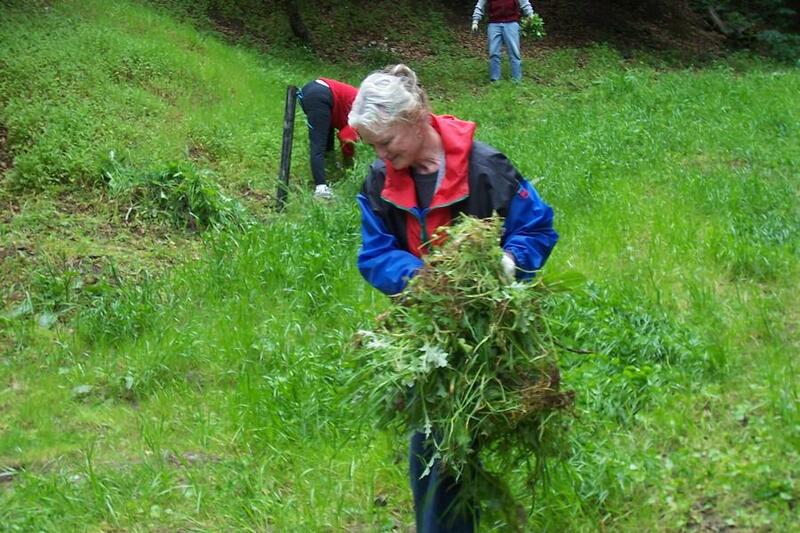 Monthly work parties: PPNA Director Elaine Geffen and PPNA resident Richard Kauffman organize monthly work parties plus two annual clean-up events: Earth Day in April and Creek To Bay Day in September. E-mail Elaine Geffen to find out how you can help at Marj Saunders Park at Ascot and Chelton; Email Richard Kauffman to see how you can help at Beaconsfield Canyon on Keswick off Chelton. Read on for more information about these two sites plus our third adopted open space, Castle Canyon. 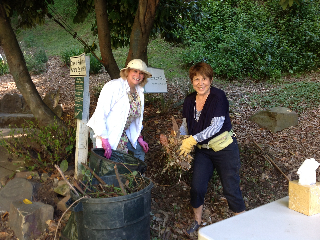 Check out just a few of our many work day photos. Click on a photo to enlarge it. 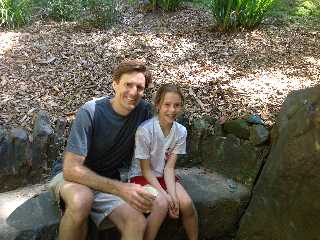 Many of us moved to Piedmont Pines because we fell in love with its natural beauty. We are blessed with access to gorgeous parks and open space, some of which we fought long and hard to preserve from multi-unit construction. Piedmont Pines puts a very high value on keeping our surroundings neat, tidy, and fire-safe. 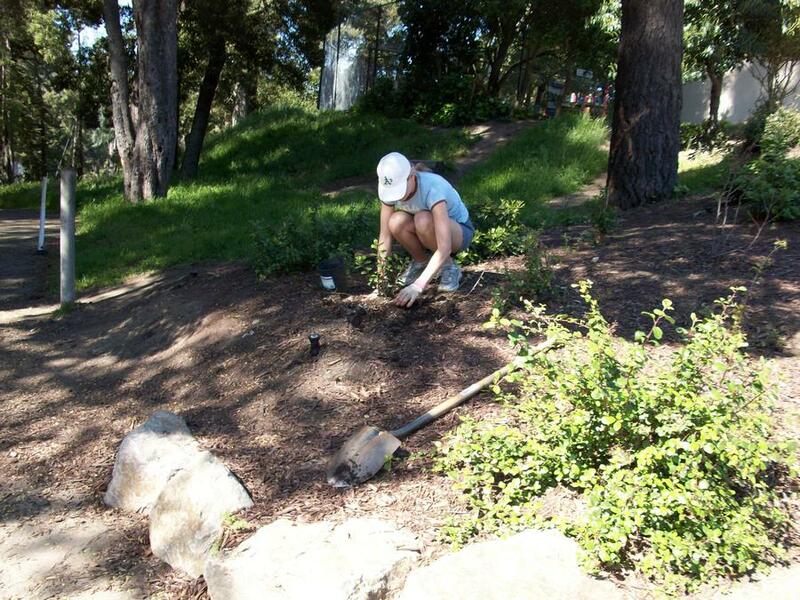 We enhance the natural beauty by hand-pulling non-native invasive plants and replacing with natives. (We are herbicide free). 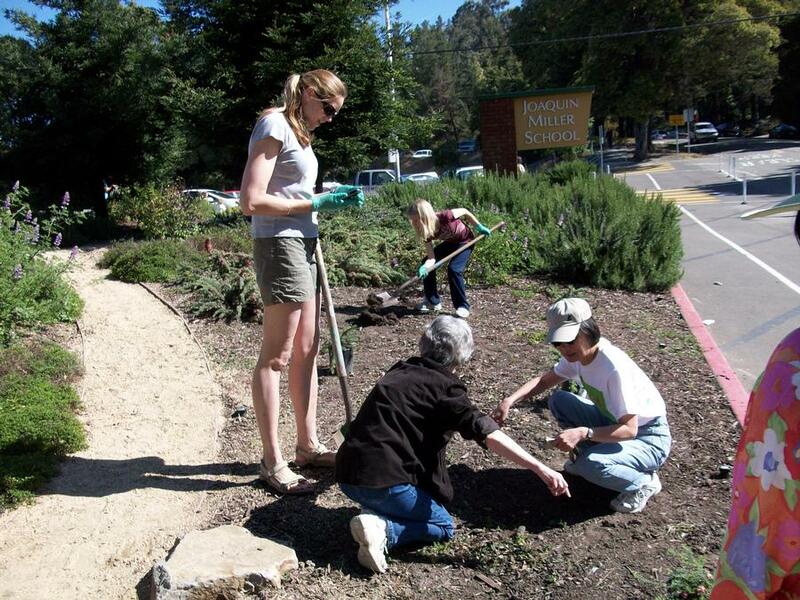 Volunteers have invested hundreds of hours working on our three major beautification projects. If you'd like to volunteer to help on any of these, E-mail Elaine Geffen to find out how you can pitch in, or visit the calendar on our home page for work dates. 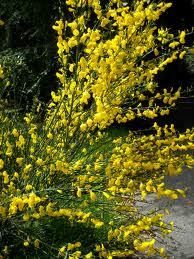 Piedmont Pines is working hard to rid our neighborhood of invasive and highly flammable French Broom. We have a medium-sized week puller we will loan to paid members that makes it easier to remove plants that are too big to remove by hand. Sign into our Member Center with your user name and password* to see if your dues are paid. If yes, contact Elaine Geffen to borrow the broom puller. * Your user name is generally your email address. To set your password, click on Sign In at the top of the home page at www.PiedmontPines.org then click on reset password. Much of what is beautiful about Piedmont Pines is directly attributable to the tireless efforts of Marj Saunders. In 2003, more than 100 Piedmont Pines residents petitioned the City to honor Marj's many contributions by renaming Sulphur Springs Park (affectionately dubbed "Painted Rocks”) to Marjorie Saunders Park. On June 26, 2004, more than 100 neighbors and dignitaries turned out for the dedication of the park in her name.Our debt of gratitude to Marjorie Saunders (1909-2009). For more than 50 years, Marj advocated for open space and lobbied against large and unsafe development. She set an example by taking a bag with her on her daily walks and picking up litter, as well as cleaning up the open space areas herself. The recent purchase of Castle Canyon and earlier purchase of Beaconsfield Canyon by the City was due in no small part to Marj's decades-long battles. In 1949, she crusaded for the acquisition of the Boy Scout camp that is now home to Montera Middle School and Joaquin Miller Elementary School. 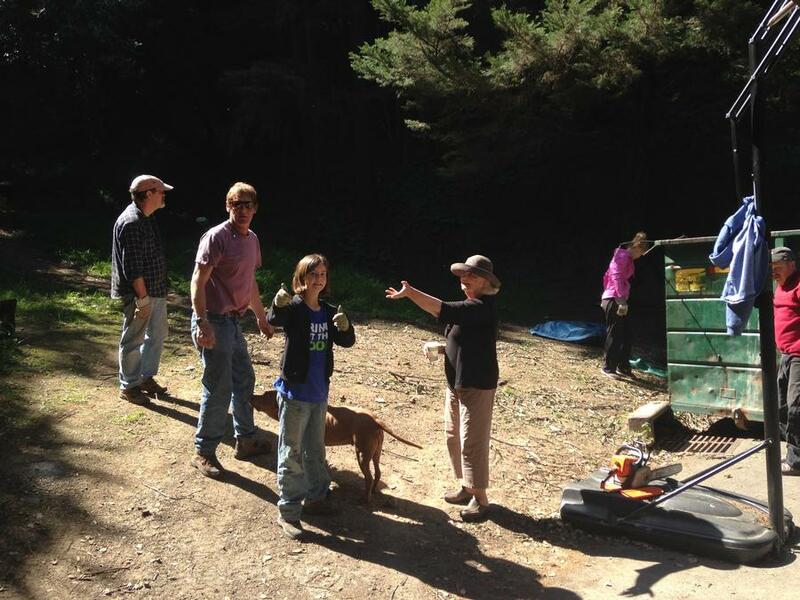 She also worked on replacing septic tanks with sewer lines, reopening Chelton Road when it was closed by a landslide, defeating a proposed four-lane highway on Skyline Boulevard, preserving Beaconsfield Canyon (the land surrounding the Painted Rocks), and gaining approval for the construction of Joaquin Miller Community Center. The list could go on and on. We thank you, Marj, and we miss you! 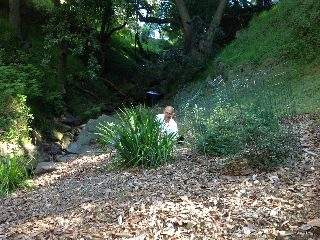 We have made Marjorie Saunders Park our official Oakland Adopt-a-Spot as well as an Adopt-a-Drain site. 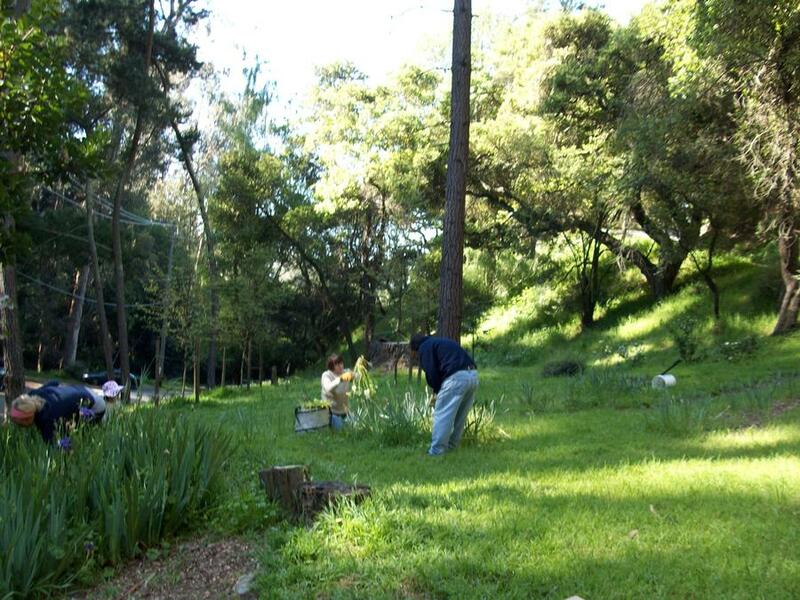 Our partners: We work with several groups, including Hillside Gardeners, Joaquin Miller Elementary School Ecology Club, Keep Oakland Beautiful and Friends of Sausal Creek (FOSC) to keep this site beautiful and welcoming. 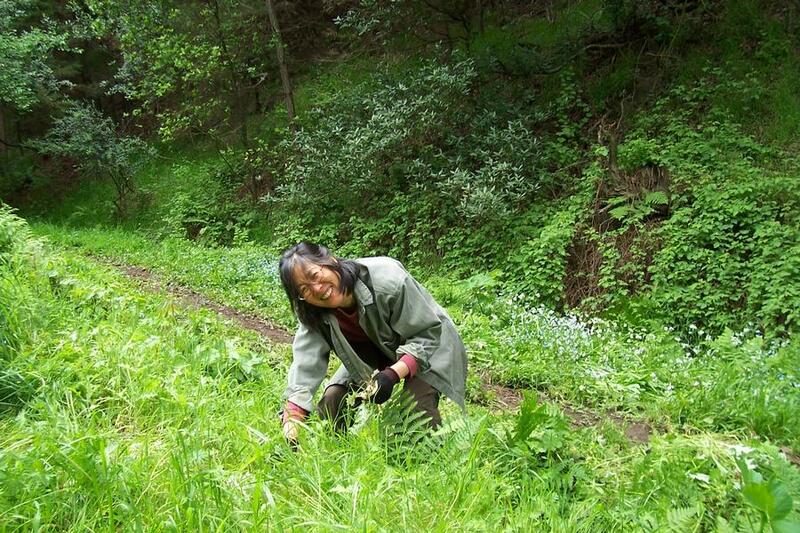 FOSC supports our efforts with advice and provides native plants from Joaquin Miller Native Plant Nursery, and also identified a serious creek erosion issue, which we were able to fix by redirecting the creek to its proper path. In 1987, PPNA rallied to convince Oakland to buy the property at the end of Beaconsfield Place (off Chelton Dr.), thus defeating a 16-home development. 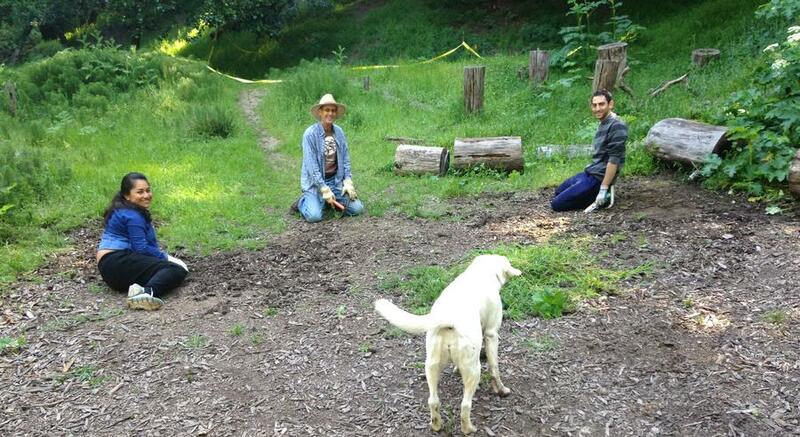 The land remains as open space and has been undergoing a beautification and creek restoration effort, spearheaded by resident Richard Kauffman, with major assistance from Wendy Tokuda and the Friends of Sausal Creek. 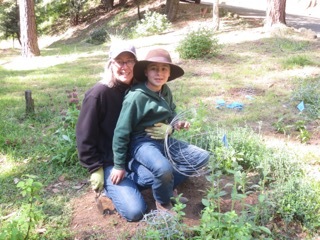 Beaconsfield was selected by the Oakland Fire Department as a demonstration project for long-term, sustainable clearing that will reduce invasive plants and nurture native plant populations. 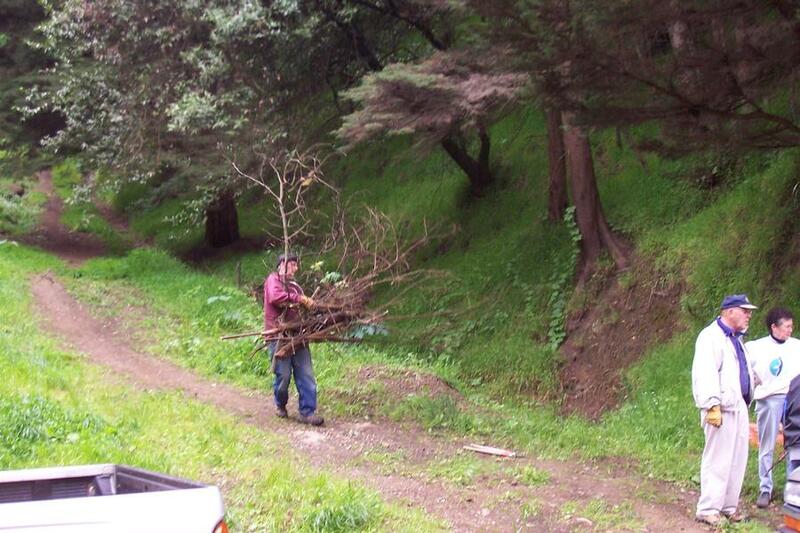 Richard organizes monthly work parties to restore natural vegetation and reduce the fire load. To help with this restoration, email Richard Kauffmann. Beaconsfield Canyon is not a spot you'd naturally stumble upon. It's at the junction of Keswick and Beaconsfield off lower Chelton Dr. Check the calendar on our home page for dates of work parties--generally the last Saturday of each month, from 9 to noon. Castle Canyon, now part of Joaquin Miller Park, is bordered by Castle Drive on the east and Mastlands Drive/Larry Lane on the west. In the late 70s, this land was part of a 30-acre parcel threatened by a huge development. Two neighbors each purchased 10-acre portions, leaving the last 10 acres open to development. In 1999, the developer proposed 17 homes. The Association went into high gear, gathering environmentalists, slope engineers, and attorneys to fight what would have been a very dangerous development. In 2006, we emerged triumphant with a compromise that allowed four homes: two at the top of the canyon and two on the southern side near Castle Park Way. 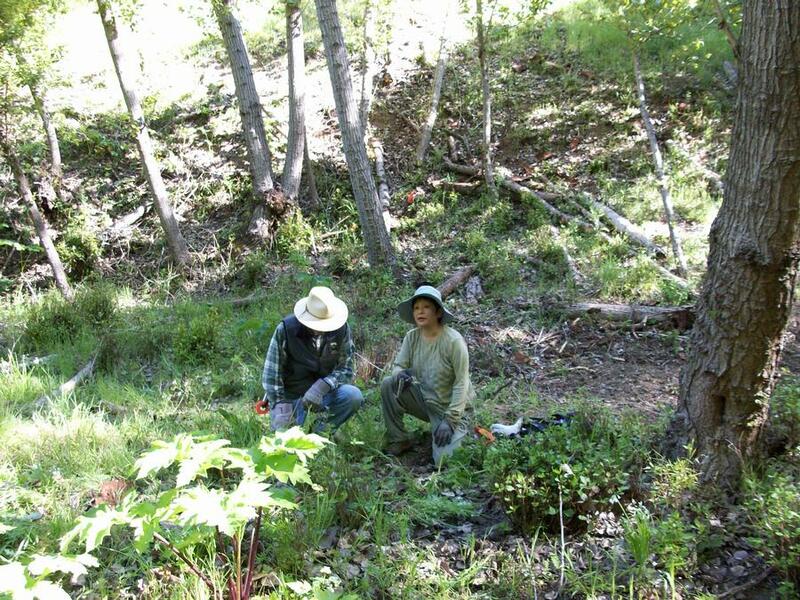 Eight acres were purchased by the City after our successful lobbying to use Measure K funds.Today, resident Jeff Sharp is Piedmont Pines'’ steward for Castle Canyon. 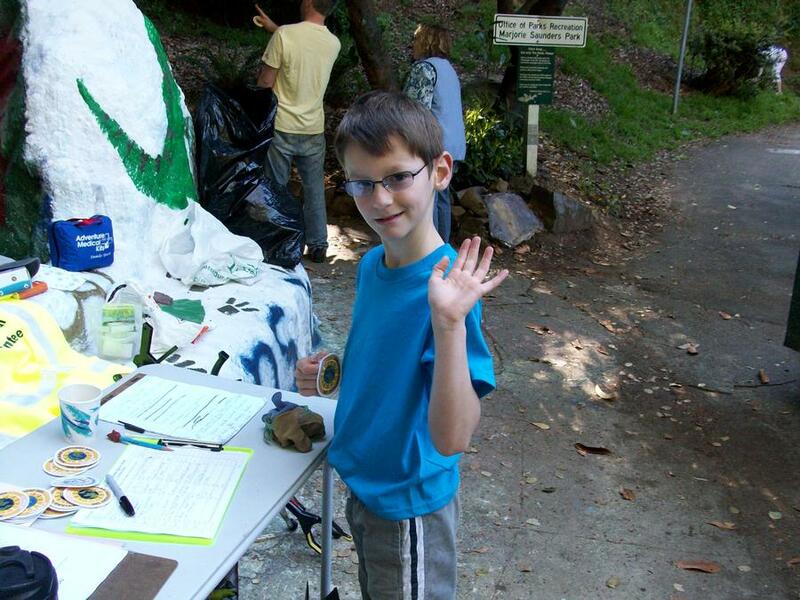 Jeff organizes two work parties a year, one on Earth Day in April, one on Creek-to-Bay Day in September. 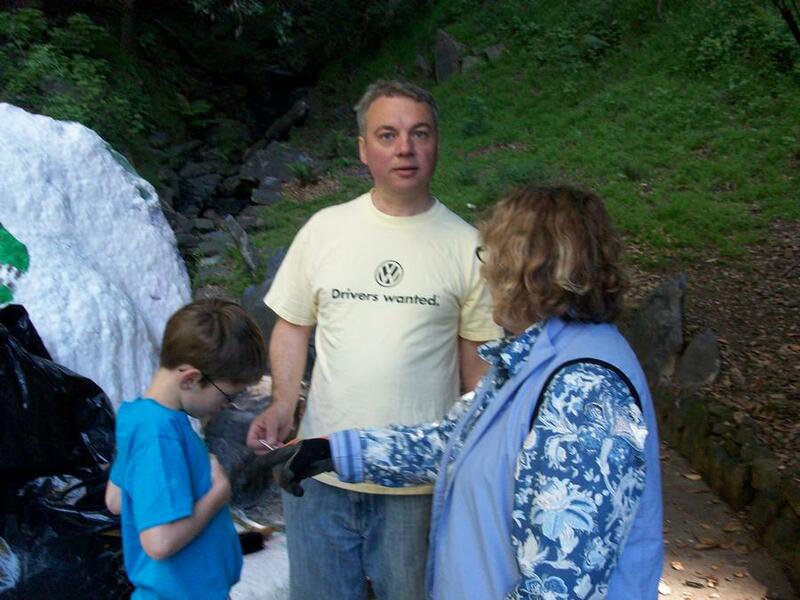 E-mail Jeff Sharp to find out how you can help beautify the canyon and reduce the fire load. Board member Stan Weisner has undertaken an effort to clear dead trees and limbs at the top of the canyon to protect against wildfire. He is lobbying Parks and Recs and Public Works to manage the fire danger.